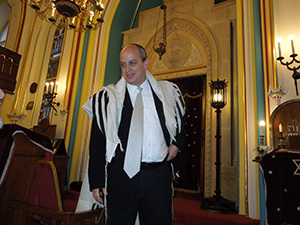 Rabbi Tamas Vero of Budapest’s Frankel Synagogue. Anti-Semitism is on the rise in Hungary, but it is a complex problem that is part of a broader nation-al crisis encompassing a range of political, economic and social ills. Such conspiracy theories “are the most dangerous form of anti-Semi-tism, leading to the strongest discrimination against Jews,” according to a 2014 report by the Budapest think tank Political Capital institute. Much of the rise in anti-Semitism has been linked to the emergence of the radical nationalist Jobbik Party, which won more than 20 percent of the vote in 2014. Seeking scapegoats for a range of woes, Jobbik uses virulent anti-Israel, anti-Jewish and anti-Roma rhetoric to galvanize support, frequently playing on conspiracy fears. Anti-Semitic outbursts by Jobbik politicians, meanwhile, have increasingly served to legitimize hate speech in private conversation, public discourse and the political arena. Mainstream parties and Prime Minister Viktor Orban’s rightist government avoid such explicit rhetoric and, in fact, condemn anti-Semitism. The rise in anti-Semitism has ratcheted up the anxiety level of Hungary’s 100,000 or more Jews, most of whom are in the capital. The acceptance of anti-Semitism in public discourse sets Hungary apart from other European countries, said Linda Vero-Ban, a Jewish educator whose husband, Tamas Vero, is the rabbi at Budapest’s Frankel synagogue, whose growing congregation caters to young families. “I hear stories every day from elementary, high school and university students about how they experience open anti-Semitism, both from their teachers and classmates,” she said. Linda Vero-Ban of Frankel Synagogue. According to Political Capital, one-third of Hungary’s Jews are worried about physical attacks and two-thirds are concerned about verbal harassment. About one-half had considered emigrating over the past five years. A 2014 poll found that about half of all Hungarians between 20 and 35 would consider leaving the country for economic or other reasons. Political Captital Director Peter Kreko said current debates on anti-Semitism in Hungary both downplay and exaggerate the dangers. “Anti-Semitic public discourse is definitely a problem,” he said. “On the other hand, fortunately, most Hungarians are not open anti-Semites, and the Jews in Hungary are not in physical danger. Unlike in Western Europe, anti-Semitic incidents in Hungary are rare and sporadic. While vigilance is important, we should avoid becoming hysterical over this issue. 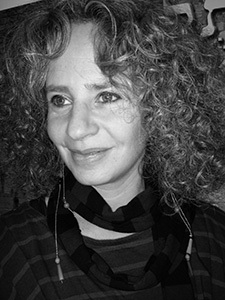 Ruth Ellen Gruber is an author, editor and researcher who has chronicled Jewish culture in Europe.